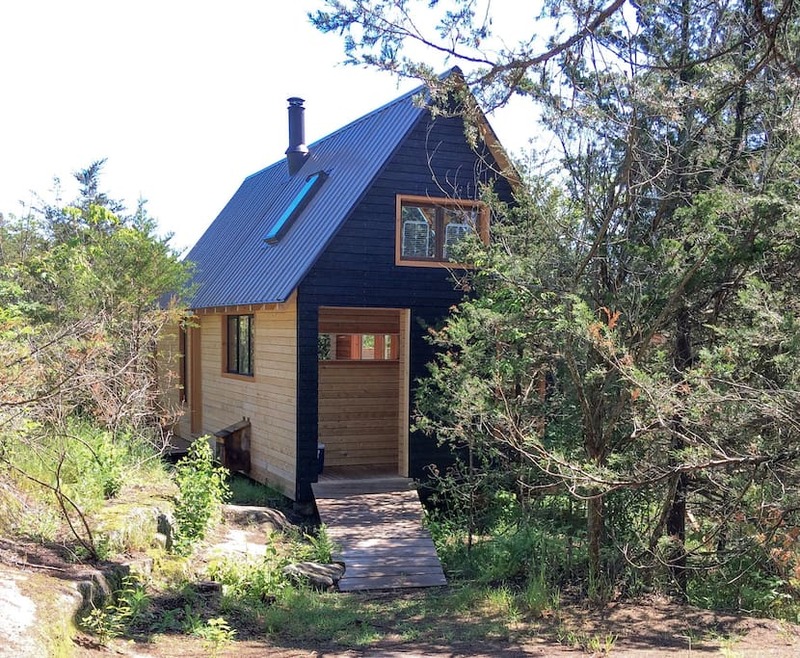 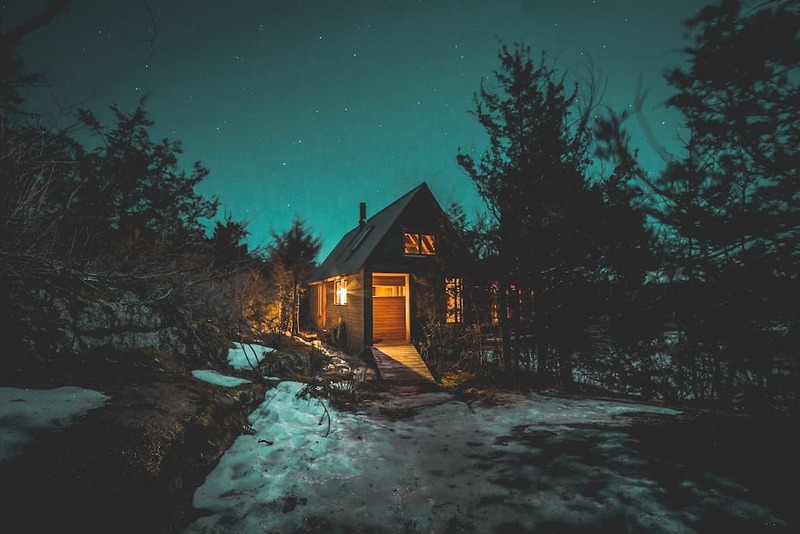 This beautiful minimalist cabin is the perfect weekend getaway for a nature lover and/or design enthusiast! It's located in Gananoque, Ontario (halfway between Toronto and Montreal), on an elevated rocky ridge overlooking a wetland. Nicknamed the Raven House, the cabin was built using locally cut pine, spruce and, cedar. 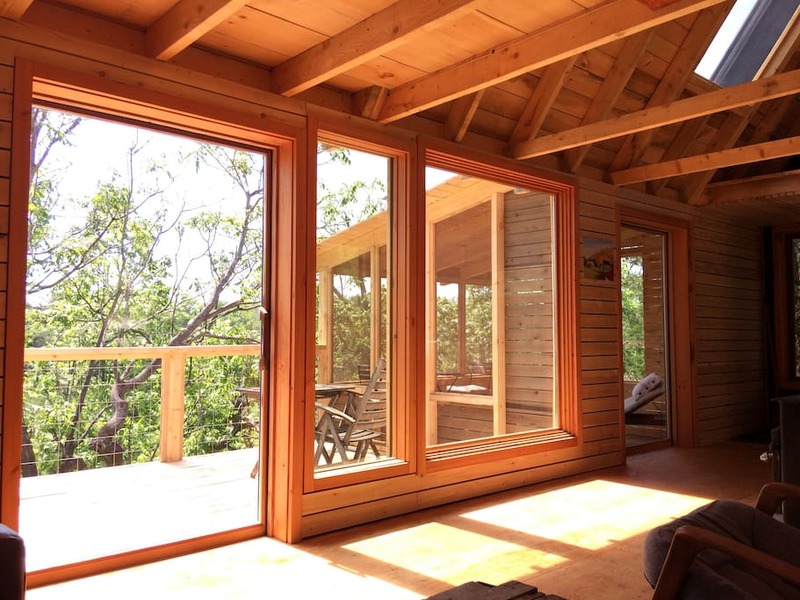 It's solar-powered, off-grid, and comes well-insulated. Inside is an open layout kept naturally illuminated by 10 windows and 3 skylights during the day. 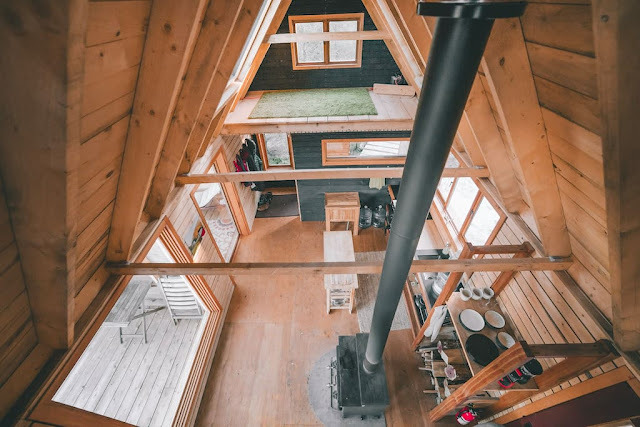 A central wood-burning stove helps to keep is warm and snug during the cooler months of the year. 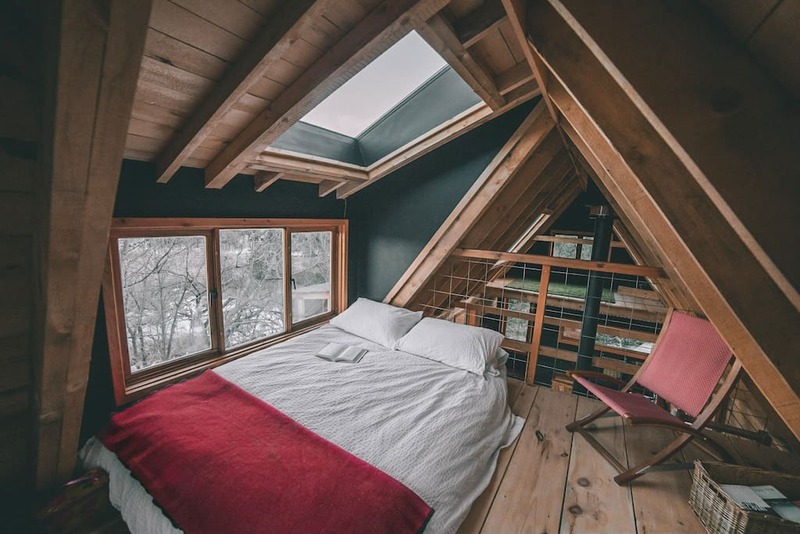 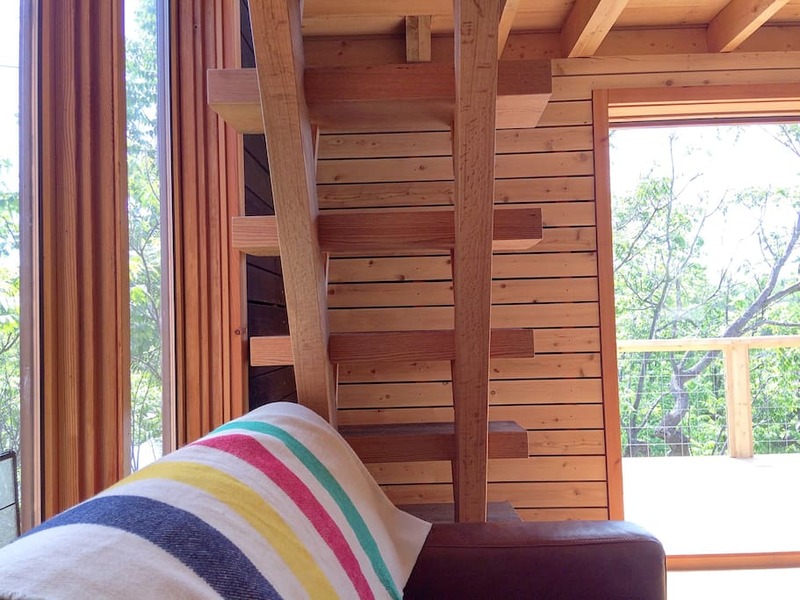 A loft bedroom is located in the home's upper loft area, accessible by ladder-stairs. 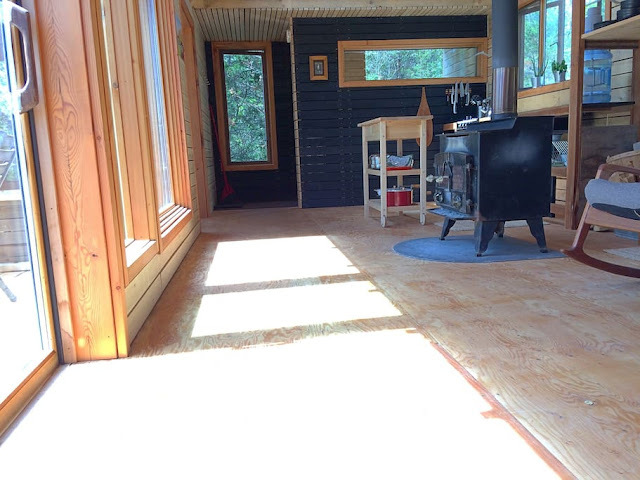 A galley kitchen is also available, equipped with counter space, a sink, four-burner propane cooktop, utensils, and cookware. 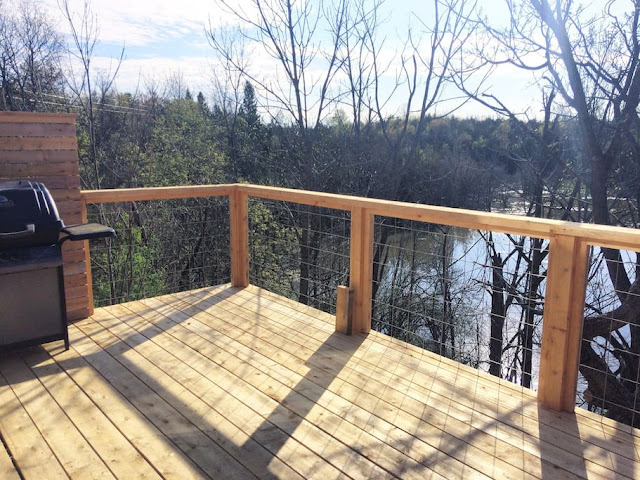 A propane BBQ is also provided on the Raven House's deck! 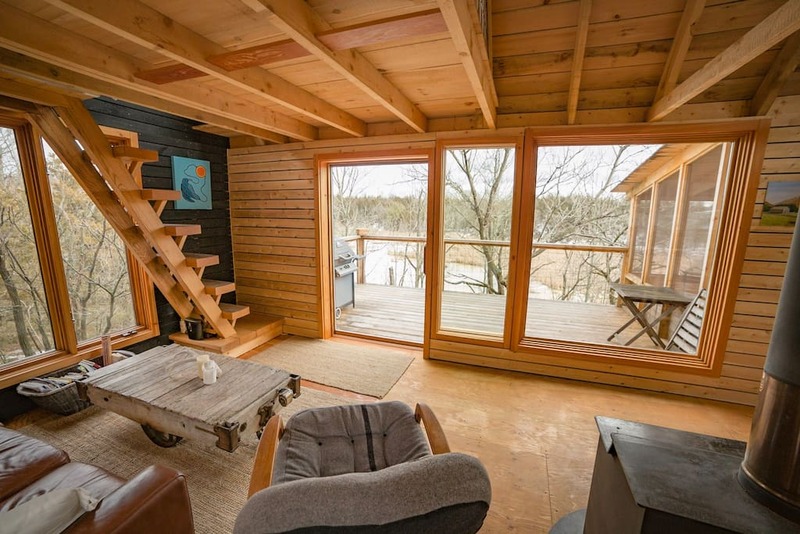 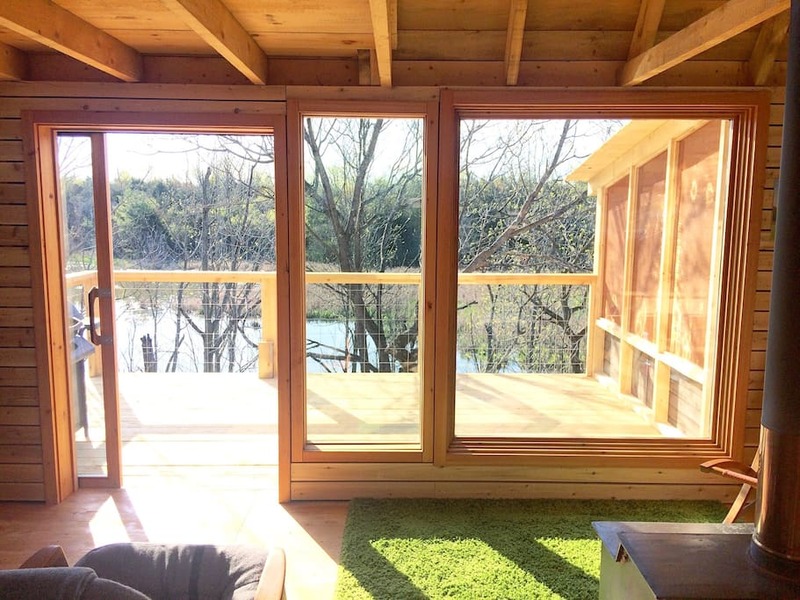 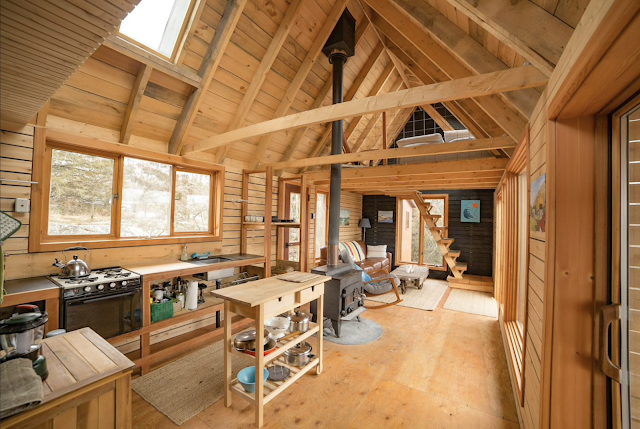 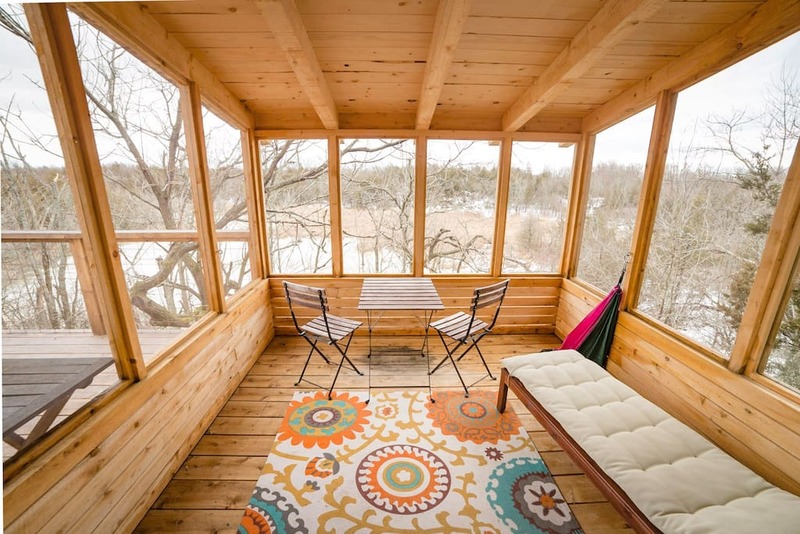 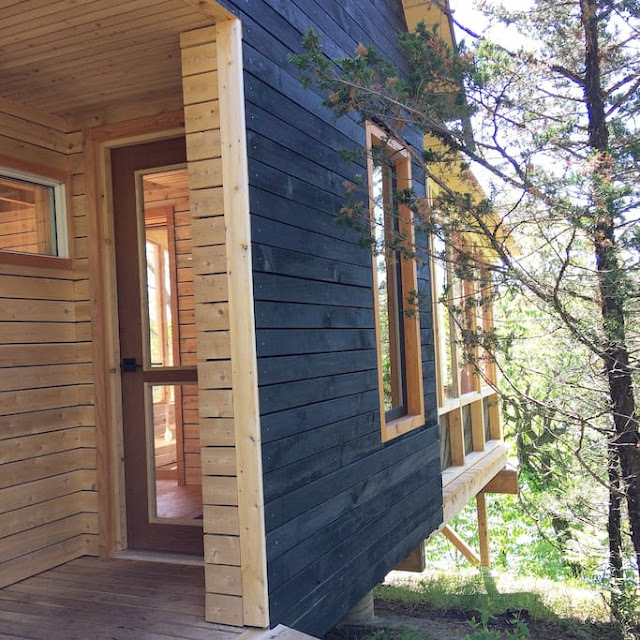 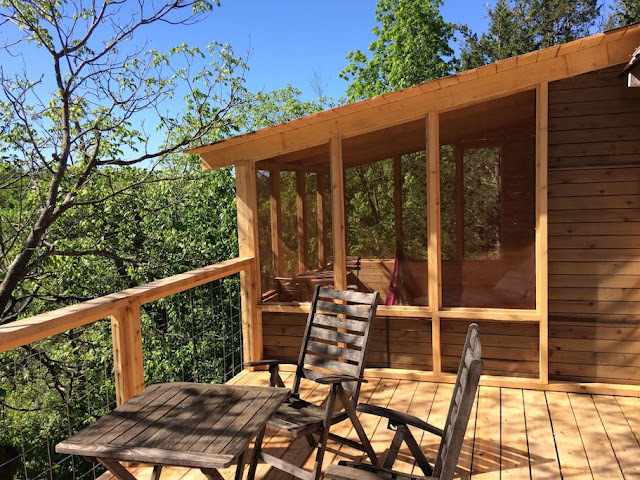 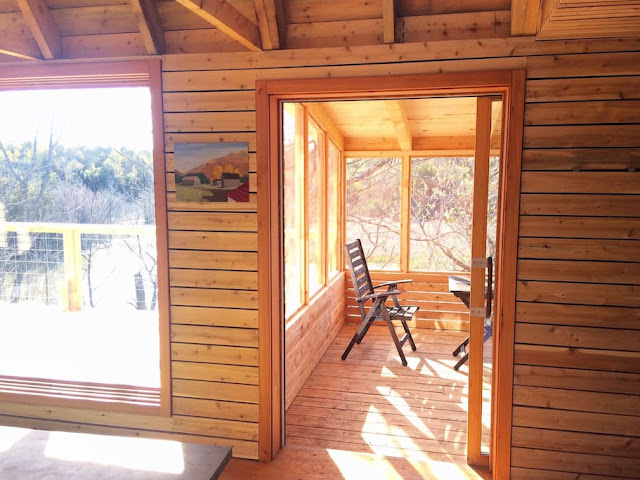 The cabin is available for booking here on Airbnb for $95 CAD a night!